So wat would u do? 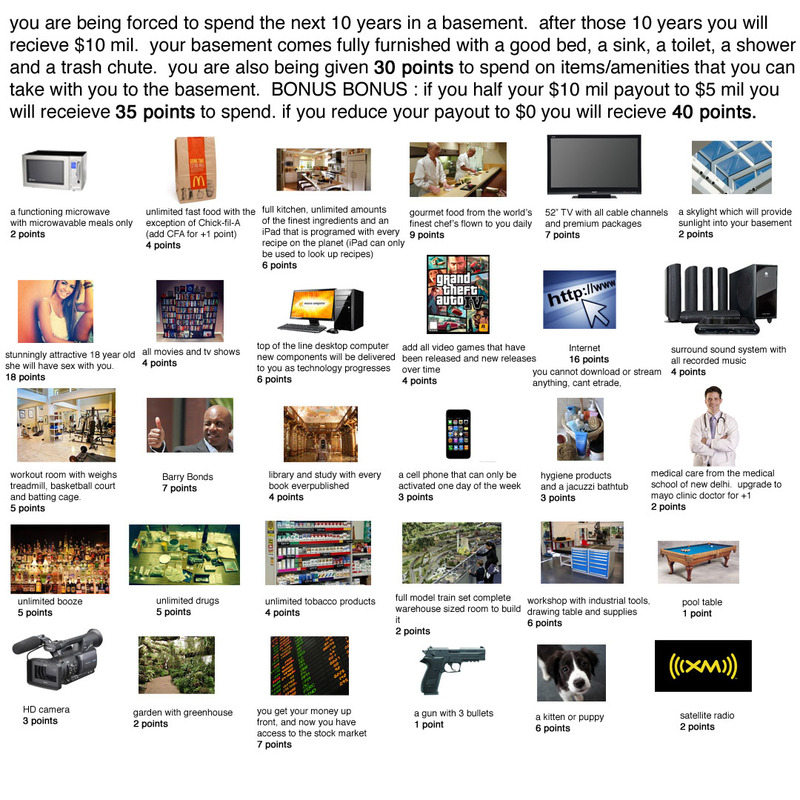 I would buy a gun, then shoot the person who forced me to lock myself in the basement. I mustache you a question,but I'll shave it for later. I'll eat the woman and cook her when she becomes useless.